There are two types of people at Christmas: Those who have everything organised, stockpiled and ready to go from day dot, or you know, the rest of us who do a supermarket sweep on Christmas Eve wondering if 10 packets of pigs in blankets will actually be enough (it is). 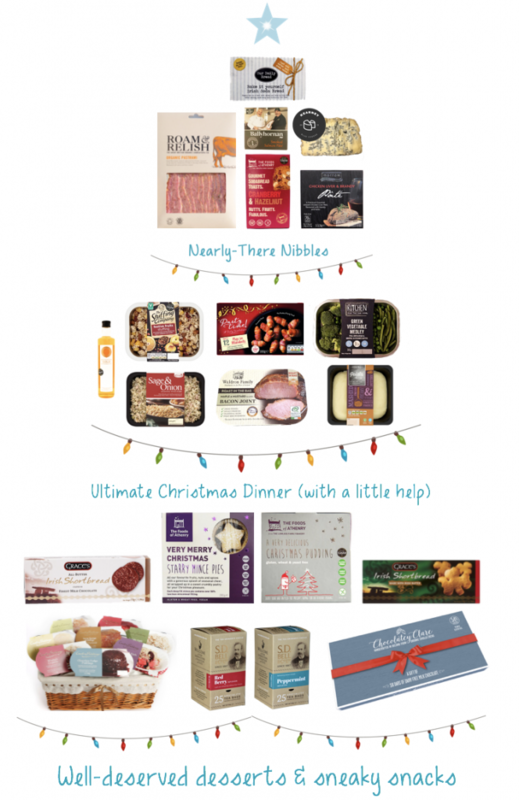 We’ve comprised a Christmas Checklist of what our customers have to offer, all available and locally produced in the UK and ready to purchase for your festive feast. First impressions are important. Luckily if it’s your friends or family, they won’t judge you too harshly but there’s always an in-law there – so best to be prepared. Guests like to envision what’s ahead of them, so if you smash your starter they know they’re in for a treat the rest of the day. You may be set on your starter already, but if you happen to be catering a lot of people – just set out some nibbles. Let’s see what’s first on our list. Want to make out that you’ve been up since 6am making fresh Wheaten Bread when you really had a bit of a lie-in? Then pick this up locally, chuck it in the oven and voilà! Paul Hollywood who? A firm family favourite is smoked salmon on wheaten bread – minimal effort, maximum flavour. If you’re lucky enough to be living in the rolling hills of Devon, you really can pick this up locally. If you’re not – go Ocado. Add this to any charcuterie board and watch it disappear – even if one slice should be enough to satisfy. or some Smoked Salmon Pate by Ballyhornan. The great thing about cheese is how versatile it is in its utilities, safe for crackers and safe for salads. Yes, salad at Christmas can be done – why not try a twist on a Waldorf salad with some Kearney Blue! Where heated hostess trolleys are a things of days gone by, some of us who aren’t domestic goddesses could use a little help to get everything out on time for famished family members. If there’s one thing you should be cooking with this Christmas it’s Broighter Gold. Not only is it an award-winning and high-quality product (evident from its deep golden hue), but because rapeseed oil has a higher smoke point – you’re less likely to smoke out the kitchen. Ideal for entertaining and keeping that atmosphere in check. Everyone has their own method and ingredients for making the best stuffing, but if you don’t want to try and claim that accolade this Christmas, then get a helping hand from TS Foods who specialise in stuffing. Already in a roasting tray, just pop it in the oven and pretend you’re using your great great Granny’s recipe. Turkey, ham, a free-range chicken? Christmas Day is demanding, and if all your energy gets sapped up by turkey with all the trimmings, then zap this delicious bacon joint in the oven from Waldron Meats. Simple & succulent. Brussels sprouts are not the only green veg available at this time of year, and let’s face it – we’re not all fans of the little green devils. Already pre-prepared, these alongside Heritage creamy mash take the stress out of sides. Causing quite the commotion on our list is Lidl’s party time range, with prices starting from just 99p for 12 pigs and blankets. Meaning 10 packets of those pigs & blankets is a bargain! We say well-deserved but who knows if you’ve made the naughty or nice list this year – either way dessert is inevitable and if you’re looking for an alternative to the sometimes dreaded Christmas Pudding then we’ve got a few crowd-pleasers on our list. In the idyllic settings of Cumbria, Lynn Mallinson prepares and perfects her range of premium puds. From classic sticky toffee pudding, to a refreshing lemon sponge – Lynnn has it covered. Available to order online & microwaveable, these desserts are ideal for when you just want to put your feet up and let the micro do the work. We did previously mention the ‘sometimes dreaded’ Christmas Pudding because we like to think we’re sensible people here at PPP who know that it isn’t for everyone. If it is, then look no further than Foods of Athenry for the best Christmas pudding on the market. Making a Christmas pudding is a long & lengthy process, but if someone else does it for you and they’re really quite good at it then pick one up. Mince pies not your speciality either? 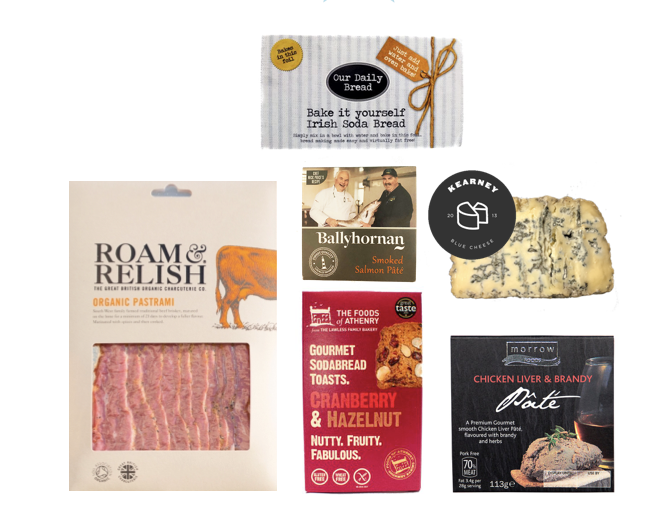 Foods of Athenry have those covered too, all butter and gluten-free. In short, for the Christmas traditions not everyone is enthused about – in Foods of Athenry we trust. There’s a lot of celtic shortbread knocking about the place, but if you want to do your guests a solid – then you should probably opt for some Irish shortbread – is it the butter? The recipe? We’re not entirely sure – but to be armed with shortbread when the 4 o clock lull hits is a good idea. To polish & finish off your festivi-teas (see what we did there) why not elevate the typical tea bag for something a little more fruity / fancy / minty! Red Berry / Peppermint Tea by S.D Bells Available online https://sdbellsteacoffee.com/ and in store at S.D Bells.